Every December we collect greetings from friends and family as they accumulate in our mailbox while simultaneously sending out our own seasonal well wishes in the form of decorated cardstock. 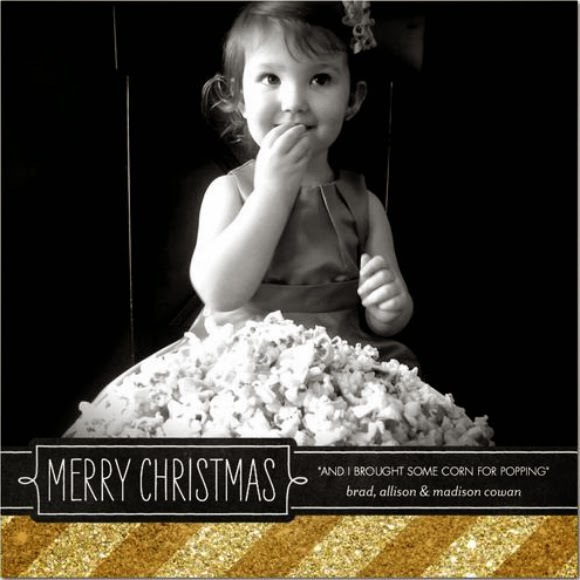 This year we came across this idea of using a line from a Christmas song as inspiration and decided to adopt it for our 2013 card. 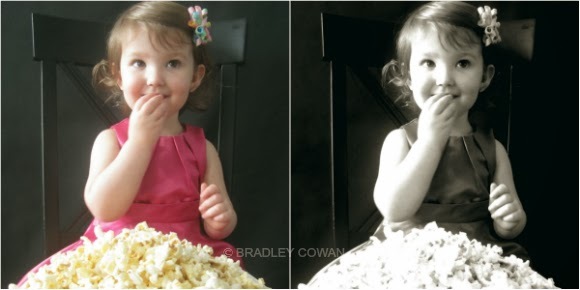 The impromptu, in-home photo shoot also captured Madison’s first experience with popcorn. 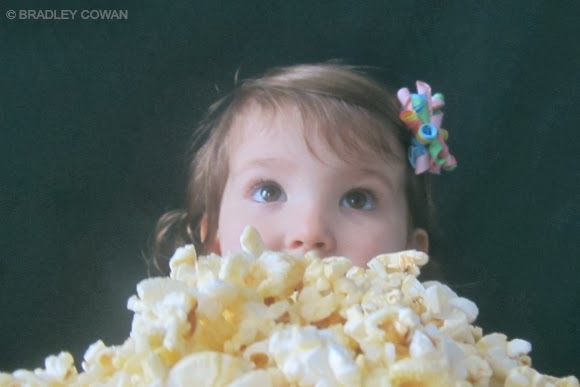 Six months shy of three years old and she’s never had a single piece of the fluffy, buttery goodness that is popped corn. Needless to say, she loved it. 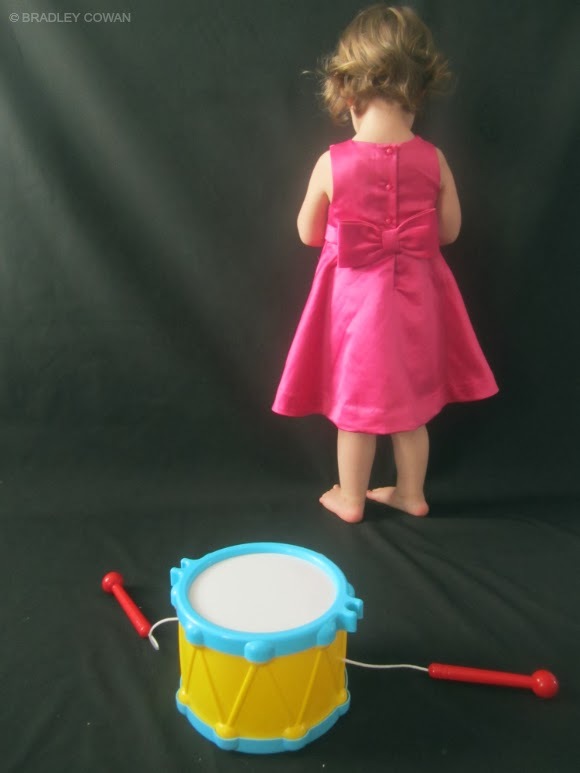 We tried acting out another song with the line I played my drum for Him…but someone wasn’t in the mood to play for Him or for her mother or me or anyone else for that matter, so we moved on. Ultimately, we knew the chosen picture would be black and white so we didn’t worry too much about the coloring of the props or Madison’s clothes. With a plain black background and a dress that offered a simply interesting neckline, we hoped the focus would land on her face highlighting her expression instead of drawing the eye to other elements of the photograph. 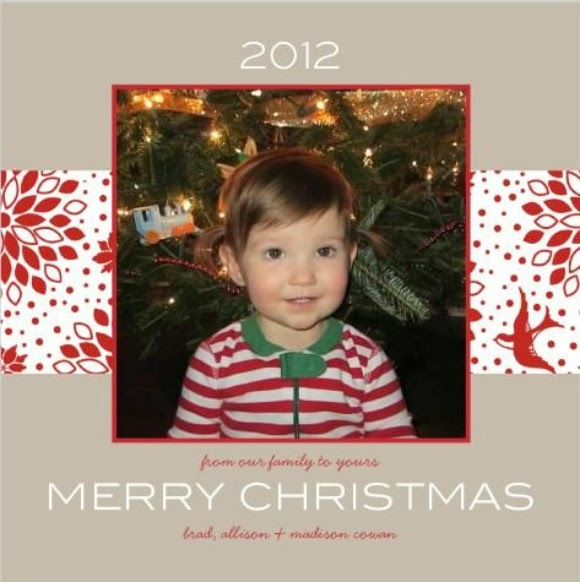 Our cards from 2011 and 2012 were ordered from Shutterfly while our card this year was from tinyprints. This was not a sponsored post although we're pleased with both companies and highly recommend their services. 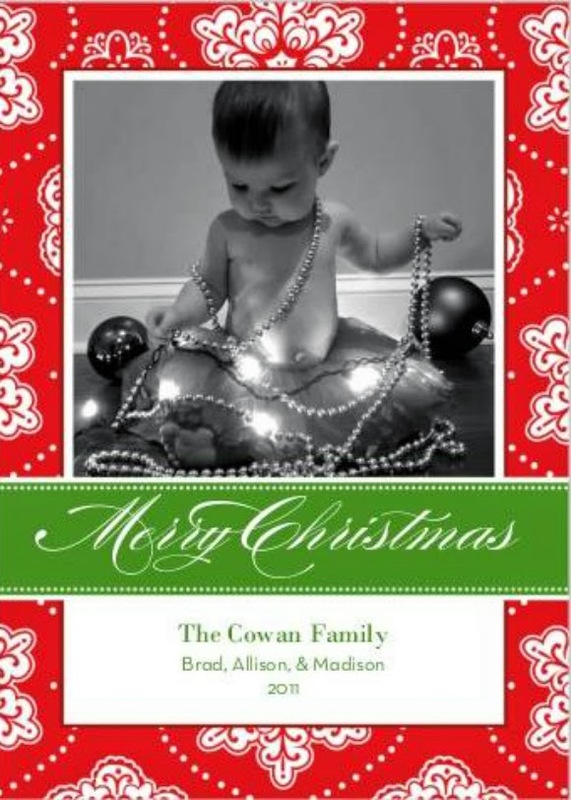 I love the new tradition to incorporate a song into the card! 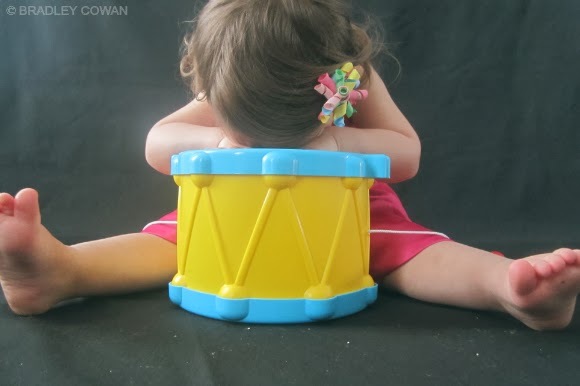 The photo of Madison with her head down on the drum, PRICELESS! 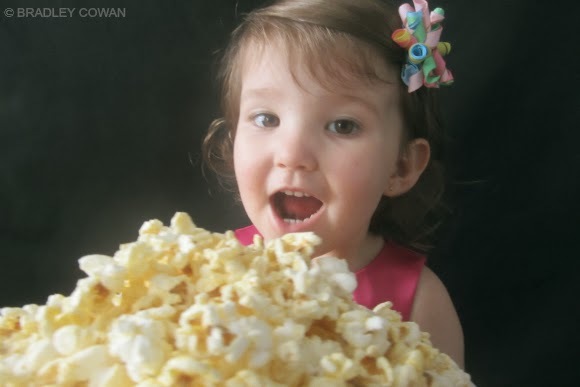 I LOOOOOOOOOOOOOVE it.